I’ve really enjoyed studying James 1 with you all! I’m certain I’ve learned as much as you have in our journey through this first chapter of James. We will continue studying James 2 in January! That study will be posted on our new Mama’s Refill site, and will move at a slower pace to accommodate my even-busier-than-normal schedule for the next few months. It should also help more of you work at the same pace that I’m posting the lessons. 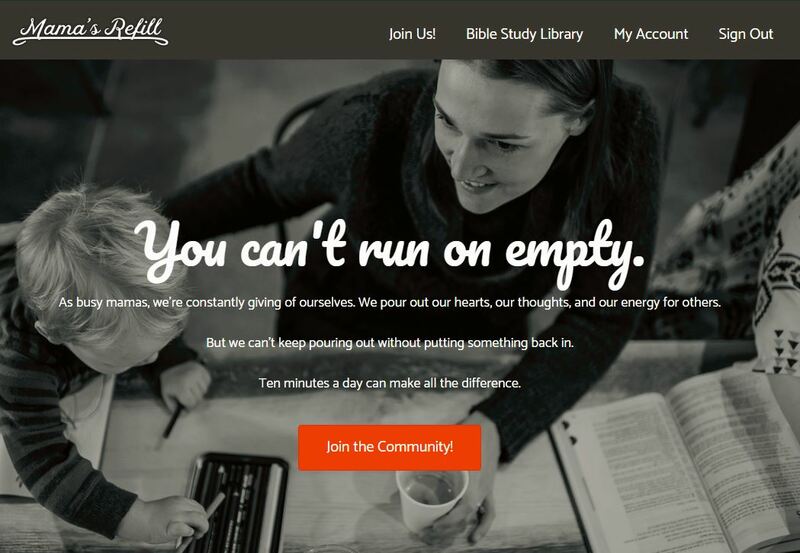 Mama’s Refill will make it even easier for you to study, and will allow me to keep writing these Bible studies, something I love to do, but also something that takes a tremendous amount of time — often in the middle of the night. 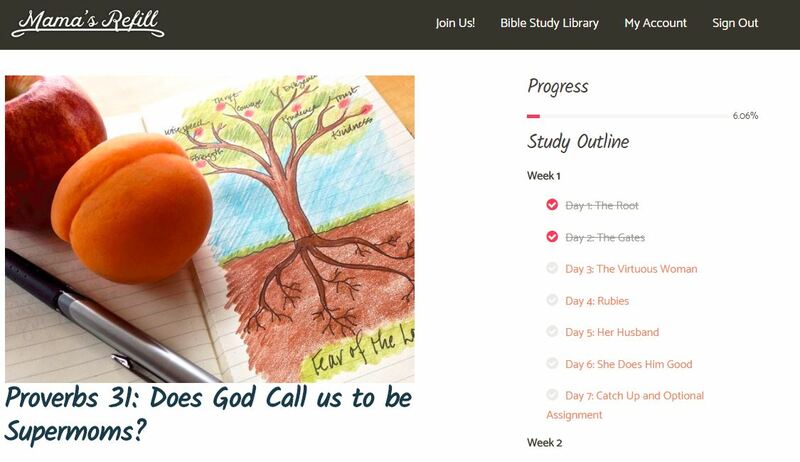 Your subscription to Mama’s Refill plugs you into a system that offers every Bible study we’ve ever posted, all in a format that will allow you to have any study delivered to you, one lesson a day. Or you can work at your own pace, checking off each lesson as you go, with a friendly reminder that will come your way if you haven’t finished a lesson within a designated time period. You won’t need to be on Facebook. You won’t need an Instagram account. You’ll have access to printouts and supply lists for children’s assignments, answer keys for some of your lessons, instructions for app users in all studies, a 10% discount on all Doorposts purchases all year long, a system for tracking your progress, drawing suggestions and tutorials, and more! For the next three days, you have a chance to win a free one-year subscription for Mama’s Refill! On Monday, December 11, we will randomly draw the names of ten winners! Simply answer one (or all, in separate comments) of the questions below. This giveaway ends at midnight, Sunday, December 10. Please lve comments, even if you have not finished all of the James 1 study yet. What have you learned in your study of James 1 that will change the way you live your life? What would you like to see changed/improved in Busy Mamas Bible studies? If you have not been studying James 1 with us, what are you doing to read and study the Bible? When has God been faithful to preserve and care for you in the midst of trials? 3. I’m going through a study book on 1 Peter with two friends. That’s really prescriptive, but very insightful. I was most struck at the importance of letting ‘patience do its work’. It is so natural for me to begin to spin around in my spirit, begging, pleading- even trying to manipulate the Lord – when I am in a trial. It’s been hard work, but beautifully met with Gods sweet grace to me, as I’ve practiced this. I’ve learned thr connection God has in his word and that it most certainly does apply to my life. Looking at what are commands and what that means of who i am listening to for my master. I keep getting sidetracked but trying to take one day at a time and go through james bit by bit. I was in a bad car accident 15 years ago at the age of 19..my pelvis was broken on both sides, my hip was pushed out of socket, my wrist was broken and 1/3 of my sacrum was split all the way through…top to bottom. I spent 2-3 days in ICU, 2-3 weeks in a trauma care unit in the hospital and then was able to be transfered to a rehab facility where i stayed for the next 2 months relearning how to walk, write and use the bathroom again. During that time I remember a friend of ours coming and encouraging me after I was voicing my frustrations of being stuck there..and he reminded me of Esther and how her uncle told her…that she was placed there for just such a time as this…in her case it was saving her people, the jews…but in my case, i had captive audiences every day whom i could witness to…from.caretakers to therapists to nurses…when the doctors who were overseeing my care commented on how quickly my body was healing and they seemed puzzled… I told them it was because i had friends and family and churches from all over the world praying for me…God never fails us. I love everything about this format and content. I especially love the BLB app, and found it so helpful both in this study, and my regular devotional reading. Thank you for the hard work and sensitivity to the Spirit! One of the most difficult trials I’ve faced is the heartache we’ve experienced with my oldest child. Head injuries, depression and drug addiction have been part of his life, and it has deeply challenged our faith. My husband and I found ourselves broken, despairing and stripped of anything other than our belief that God is who He says He is, and He can be trusted. We continue to learn not to look at our circumstances, but to look to the cross and to what Jesus has for us in this trial. He meets us in our despair, reminds us constantly of His faithfulness and gently shows us that beauty can come from ashes. He is faithful. 1. I love the BLB app. I learned so much more about the meanings of the words… it deeped my understanding of the WORD. I and my children enjoyed the audio reading and the Greek pronunciations. So, helpful and handy. The passage was very heart warming and encouraging as trials are a part of our Christian walk with Jesus. It learned so much about a new way to view my hard situations. I like the “every other day” posting method. That would aloud for me to do what I can for one day and yet know what is assigned for the next day. It would help me to divide my time better according to my busy days and my not so busy days. 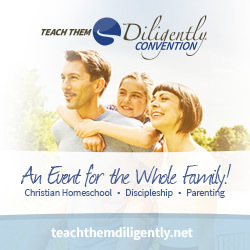 We have the Bible as the core to our homeschool. We are studying the book of Psalms. We also have a weekly Friday night Bible study we attend as a family. The group is studying 1Corithians. I am studying Revelation as my evening study. God is faithful to preserve us in many trials. Deaths of loved ones are the hardest, I think. But daily facing sin and repenting are the chornic ones. Detailed trials are too painful and personal to share here. But God is so faithful and good. I have been studying Phillipians, but plan to do this study next. The Lord has shown me His faithfulness many times in my life. One time in recent years was when I was bitten by a tick and developed Lyme disease. I was sick for months before doctors were able to diagnose and begin treating me. The Lord was gracious to me because at the time we were living close to one of the well known doctors who treat Lyme and I was able to be treated before too much permanent damage was done. The Lord gave me peace as we struggled to find out what was wrong with me. 1. I have learned to seek the wisdom from God, so I can remain joyful in the midst of trials. Also that I have to be fast to listen to the Word of God, instead of giving into the temptation of getting angry to God our listening to the world. 2. I really enjoy the Busy Mamas Bible studies. The only thing I can think of is that some days the amount of work is longer than usual, and it doesn’t allow the study to be completed under fifteen minutes. Maybe those days can be divided into two? 4. Right now my family is going through a very difficult season, my husband and I are separated, without his financial support, and my four children really miss him. When the children and I were talking about counting it all joy in the middle of problems, my oldest opened his heart and shared he could not count it all joy that daddy was gone. We had a good conversation, and realized how God has taken care of us as a family, providing a part time job for me so I can provide for the family and also be home with them in the afternoons, how God has always surprised us with extra provision and people sending food our way, how God has surrounded us with a loving extended family and church family, who have done an awesome job providing help with tasks I couldn’t do or babysitting or even just a great community. We also talked how God has helped us grow in faith in the last couple of years, and He has taught us to be humble and learn to ask for help when needed. He has showed us He really is a father to the fatherless, and a husband to the widows. These past two years have been very difficult but the Lord has always been with us. I have absolutely loved our study in James 1! Thank you so much for doing this. It’s really helped me to see that I have been like that man who looks st himself in the mirror and then walks away and forgets what he saw. By doing this study and going more deeply into the Word, I find myself thinking on it often throughout the day and really trying to understand what God is teaching me. God has really used this study to show me that I need to live out the truth of His Word and to seek His wisdom, not just during trials but everyday. Thank you again!! 1. I’ve been reminded that my heart motives really matter…do I pause in the midst of a trial to take a breath and trust God and experience joy or do I just keep plugging away on my own strength? When I try on my own…it ususally leads to anger (which I’m needing to be slower at…esp in the midst of the busy). And most importantly, I need to take time to let the word of God sink into my heart and cultivate the good soil so His word and all good things can take root in my life. Just going through a challenging time and studying James 1 helped me to change my response and I have experienced peace and calmness of God in a new way. 2. I have really enjoyed them just the way they are! I learn so much and have been excited to be introduced to blue letter bible and how to use each of the different study tools there. 1. I used to think I had no trouble keeping a tight rein on my tongue, but my suddenly rebellious 2.5-year-old is deeply challenging my self-control when it comes to responding gently (vs. yelling). Many of the verses we looked at in Proverbs are now on the whiteboard in my kitchen to remind me to speak gentle, life-giving encouragement to him. James 1:19 is there too, even if it may have been written about how we respond to the Word, as Matthew Henry’s noted, it is quite useful in interpersonal relationships! 2. I love the busy mamas studies (this is my fourth), but I do agree with some commenters that on many days the studies can take me a half hour or more. That’s definitely not a bad thing, but sometimes it causes me to fall behind or not devote as much time as I should because I run out of time. 4. When I allow myself to let go of all the “planned” things of a day and just enjoy what He puts into my day instead (without becoming frustrated) so that I can enjoy and make fond memories with my children, especially in the midst of the busiest times of life. I get to laugh and play, rather than always be working and wishing I could enjoy life-that’s when I see His caring for me in the midst of trials. The BLB app! Absolutely love it! It has changed the way I study God’s word. thank you! So thankful for a reset everyday. Theses little studies help focus my mind during the ups and downs of my life. Been a hard year after my sons accident. Thankful to my Heavenly Father who hears all my prayers, concerns, and knows my trials. I’ve learned so much in James, but mostly that my children’s behavior is to help sanctify me and grow spiritually. I was also feeling distant from God before this study and just 15 minutes a day really changed my perspective and relationship with Him. Thank you! I think the study was amazing and see no need to change anything about Busy Mamas Bible studies. God has been faithful to preserve and care for me in the midst of trials through this study, other articles, sermons and blogs he led me too this month. I’m amazed at how discouraged I was as a mom a month ago and how he has redirected my attitude and behavior. It’s been encouraging and fun to spend time in God’s word with my boys also. – Day 15 really convicted me. I haven’t been relying on God to help me in my anxiety and I need His wisdom and guidance. I have never really taken seriously to count it all joy when I face trials. Instead I have taken the attitude to just grit my teeth and bear it! This study of James 1 has really opened my eyes up, and reminded me that Jesus is with me every single step of the way–just as He was with Corrie ten Boom while she was in the concentration camp! – I really enjoy the studies and haven’t seen anything I’d like to change. I’ve learned how to use and understand my Bible better with the tools you’ve down us how to use. 4. The biggest trial of my life, thus far, was seven years ago, when my mother, who was a believer and in fact led me to Christ as a child, lost her lengthy battle with health problems and depression when she took her own life. It was crushing and devasting, but the Lord was absolutely faithful to me in a lot of little and big ways; from providing me a quick way to get home from VA to OH through family members who “just happened” to be visiting me that weekend, to a faithful pastor who insisted on doing the funeral, despite the fact that she’d have major surgery. Most of all, I had been studying the book of Isaiah for a year when this happened; over and over in Isaiah I kept seeing how the Lord was faithful and sovereign, and I was so thankful to be able to cling to those promises during this difficult time. Since then it has been a challenge to try to love my father’s new wife (they married just a year after my mom passed away); she does not make it easy. – I’m a bit behind, but I still ready my MacArthur daily devotional Bible. James 1 really convicted me of not having joy in the trials. We have a large family on one income that is very low. So some months I don’t see how a bill will get paid. I panic and lashout at my family in fear. This past month when it happened I actually could see myself starting to react. I stopped and told my husband I find it very hard to have joy during our financial trials. This was the first time in my life I even thought this way. Personally I love all your studies so I don’t see any area’s of change that it needed. – I suffered ppd/ppa horribly, in the beginning I didn’t call out to Him or rely on Him, but He was there and he still is on my journey to healing my mind. My daughter is 3.5 and the ppd/ppa really wrecked me and my marriage but God has been faithful and never left me. I have loved this study, and all the “meat” of the study–but I have struggled at times to be able to finish each study daily. I love the catch up days–but my problem is that I want to do the catch up lessons too, so then that really doesn’t end up giving me a day to catch up! So I am not positive of what I would change–if I say shorter lessons I wouldn’t want them to be less in depth! So maybe it is me that just needs to learn to go faster, or carve out a bit more study time so that I CAN finish the lessons more easily! 1. I’m still learning to ‘count it all joy when you meet trials of various kinds’! We’re going through a very trying time right now and this study on James 1 has helped & encouraged me SO much! A blessing from the Lord! I have been studying these James 1 lessons and mostly keeping up–but when I am not doing one of these studies I often times am following a Bible reading plan, and then will also be reading some other spiritual or devotional book. I had to pause to allow me time for the James 1 lessons, but am currently reading through a book on Prayer by Andrew Murray,mand it is fantastic! 2. I love the studies so much! But near the end of each one I always get behind, maybe make them just a little shorter?? I also love the optional days and don’t want to miss doing that. When has God been faithful to preserve me in the midst of trials? While I am sure my entire life, the time that I realized I could do nothing on my own was when our son was born premature and spent weeks and weeks in NICU. At one point, we even received a phone call from a nurse urging us to come immediately to the hospital, as she didn’t think our son was going to survive many hours longer. Our son DID survive, and God has been carrying him and providing for him ever since! And carrying his mama as well! This year for my personal devotions, I decided to read through the Bible chronologically. It has been a long time since I have read through the Bible in a year, and I was hesitant to do it, afraid it would become more of a checklist. I have thoroughly enjoyed it though and have learned much, applying some of the study techniques I learned from you, Pam. 4. God has and is being so faithful! But one trial that was very great was my husbands sickness. Four years of chronic, terrible pain until He sent the perfect surgeon to our area to perform surgery! It was a time of much leaning on the Lord to get through each moment. Looking after my husband, our small children, the home and homeschooling but I know I never walked alone, the Lord was right there! Thank you, Pam, for this study! The many hours you put into each days work. James 1 was such a blessing to me at this time and probably my favourite one because of the season I’m in right now. The Lord knew I’d need this study now:)! God bless you! 4. A few year ago there was a certain situation the Lord allowed to happen in our family. I cried for days, dwelling on that event, but through it the Lord showed me how important it is to focus on Him and His attributes, not on me and my situation. 1. I was impressed by the emphasis on “when” trials come, not “if” Reminds me of the Getty’s song When Trials Come. Now that I reread the words, I think they may have been reading James 1 when they wrote it! 2. I appreciate the studies so much, but sometimes there’s a little more than I can do in even 15 minutes a day, so it would be helpful to break up some of the longer word studies. 4. Even though I don’t always sense it in the midst of a trial, God has always been faithful in every trial! Has this giveaway passed? You say that “On Monday, September 11, we will randomly draw the names of ten winners.” It is now December. I’m a bit confused. This study has been so encouraging as our family goes through one of the hardest times in our lives involving one of our daughters. The reminder that we are to ask in faith without doubting has made me bold in my asking. It has strengthened my faith. 1. The progression of sin really convicted me, I never really understood that it was trials being talked about here. It really opened up my eyes to why it is so important to count it all joy when we face trials. I am halfway through the study of James due to the really hard time we are in affecting time available. I am pausing now to do an Advent study. The Word HOPE is what God has given me to focus on right now. 3. Before I was doing this study I had been reading through Paul’s letters. Having a daily quiet time, is not an easy habit for me, so knowing I didn’t want to get behind, meant every morning I was up early before the rest of the house to do this study. 1. Learning the difference between imperatives and indicatives, but the way they work together. The key words to look for imperatives were so helpful – I would have overlooked ‘let, must, and should’. And the simple statement, “They require us to do, not just hear.” The reminder I needed. This study has really helped my oldest daughter short through her feelings about us becoming foster parents. We’re both realizing how we react can make a difference in our attitudes and dealings with others in the family. I started this study at the beginning of the month and as I began to unfold the joy of trials, I was thrown right in the middle of one. We found out (about a week or 2 into the study- no accident there) that my dad has cancer. Talk about a life altering trial! While my world was being turned upside down, I had the truth of God’s promises (James 1!) to root me in truth and peace. I am so thankful for this study and it’s timing! I am spending several days on some of the assignments, digging deeper into God’s Word, drawing from His strength to find joy in my trials. I pray that my peace in such a difficult time is a witness to my unsaved family. Thanks again for another great Bible study Pam. I fell way behind because I’ve been so busy – but I’m hoping to finish up before Christmas. I think the format and the length of this study was just right! I’m excited for the new format and plan on joining even if I don’t win a subscription. I’d like to see you consider doing maybe one study a year that would not require the subscription – just so that I can continue to entice my friends to join in before making the financial commitment. I hope even if you don’t instagram studies that you’ll still post on instagram regularly – I always enjoy your photos and thoughts. Christmas blessings to you and your family! I like the idea of one free study a year! Also, the Instagram studies will still go up on Instagram free. We’ll just repost them st Mama’s Refill. This is to accommodate those who don’t do Instagram. I think most importantly that as I continue to study His word I need to focus on applying it and doing it and not forgetting what I’ve learned. My faith will be tested and to count it all JOY! My desires are what draw me away from Him. This chapter is packed full of how I need to be more like Christ!! I look forward to seeing the new website! I have been using the Bible studies for a few years. The only thing I would change is some of the lessons, are a bit long and I can’t finish them in 30 minutes. I have been studying through James 1 with you. When I’m not going thru one of your studies, I’ve used Proverbs 31 ministry studies and used what we are doing in Sunday School. 1. That the trials in our life prove our faith! This has remained on my heart and mind as I think about if the difficulties in my life prove what I say I believe or if they just bring up a lot of junk in my heart! I need God to keep transforming my heart so that His ways flow out in the midst of my trials! 1. The two primary ‘life-altering’ truths I learned from the study on James 1 were: a) Every single trial or trouble that occur in our lives will be worked out for our benefit and God’s glory therefore I can rejoice in them all. There is no downside when living as a child of the King. He is a Redeemer and that includes redeeming something good out of every trial. Now I understand the true joy to be had in all life’s circumstances. And b) In examining my speech and especially looking at the verses in Proverbs about the tongue, I have realized my words are often harsh and berating. I am now determined with His help to change all my words to ones that are uplifting, loving and inspired by His Spirit. After all, everything I have is given to me by Him, including my words. May they be sanctified by Him. May His Spirit alert me to being conscious of what I am about to say. May I be someone who responds rather than reacts to situations. Thank you, Pam for your obedience and guidance these past few weeks. May God give you the strength you need for the next few months. I’ve read this chapter and even the book many times. It was so good to go through it slowly, verse by verse. Some things were a reminder and some things were an illumination. I finally understand the rich man, poor man verses and why they are there. I never could see why they fit there before. They just seemed kind of randomly placed. I never made the connection between the “Hearing AND Doing” verse in James and the Parable of the Soils before. What a powerful connection. I think the Parable of the Man who Built his House on the Rock would aptly fit as well. The main take away from this study is the importance of attitude and perserverance! Choosing to have joy, trust and perserverance in our trials and our attitudes in how we relate to hearing God’s word. I have really learned that James isn’t a legalistic book of judgement, but one filled with God’s grace and mercy! He wants us to KNOW if we’re saved, by giving us the ability to bear fruit, not just think we’re saved bc we prayed a prayer. Everything He gives, He gives in abundance! Following Him is not a list of do’s and don’ts, but loving with the kind of love that leads to obedience. That kind of lifestyle is easy, especially when Hes really to abundantly and freely hand out forgiveness when we mess up! I’ve also learned that it really does fit in with the rest of scripture! I read once when the Bible was cannonized that many didn’t see how James fit and wanted to leave it out, so went so far as to say it was contradictory to the rest of the Bible. I can understand now why they included it! I can’t wait to keep going in James! 2. I would love to know an app or way to “mark my Bible” digitally. While I love having my notes in one spot/one Bible, it’s not practical for this time in my life where I often find a few free minutes for Bible study on the go or in the middle of the night when I’m up with a child and just have my phone handy! I end up doing your studies with only my phone but can’t always mark up the verses like I’d like to! 1. I always thought “Count it all joy, my brothers, when you meet trials of various kinds …” sounded good, but was really only possible for “Super Christians”. But now I have a different perspective and understanding. After reading it so many times and studying it almost word-by-word, I “get” it. Thank you SO much for all your work, Pam. I can’t even imagine how you have a life outside of writing these studies! They are each packed with proof that you spent an enormous amount of time preparing and compiling the information for the rest of us. Thank you and God bless you! 1. I really need to apply the part of this study about receiving with “meekness” the word of God. I usually don’t have a mildness or gentleness of spirit that God says we need. I am in the midst of probably the biggest trial of my life, atleast so far. Studying James 1 came at the exact time that I needed it. God is faithful! I’ve read it before but have not studied and meditated on it like we just have. Letting God mold me and make me what He wants me to be thru this trial isn’t easy. But, He never said it would be. Do I believe in God or do I believe God? Believing God, believing what He says, believing what He promises, no matter how I feel. Thank you Pam, for all your hard work! May God continue to rain blessings on you and your family!! Your studies are a great blessing to me!! This study was wonderful! I’ve read James many times, but digging deeper was very beneficial for me. Learning that under our trials we will grow as we exercise the muscles of our faith. That with every trial is cause for joy because of the perfect work it produces! I had cancer 18 years ago. That was definitely a trial. At the end I couldn’t see to the end of the tunnel. You just have to keep hanging on to God. I wasn’t always perfect in my attitude or faith, but God was always faithful. I look back and the whole situation was miraculous. God healed me ( never had a relapse since) and though we were woefully financially inadequate of ourselves at the time (halt time insurance, husband had low paying job and I wasn’t working) God supplied all our needs and we came out of it debt free and healthy. (We actually had thousands of unsolicited, anonymous dollars show up in our mailbox over a period of time). It was definitely miraculous and God taking care of us. At the time it was a tremendous trial but God definitely used it for my good and His glory. It built my faith and prepared me for future trials. When we have trials I am able to look back and remember what God did for me then and can do for me now. It also enabled me to help other people in their trials (encourage those with cancer etc.) All things really do work for our good when we love God. 2. As far as changes or improvements to the studies, I can’t think of anything. I’ve read through others’ suggestions, and while I completely understand why people would say they’d like them to be shorter, all I can think is , “I don’t want to miss out on anything!” But I also haven’t tried working a study as you post them (which is probably what they’re all doing) … I just work through them at my own pace. Looking at verse 5 was one of my favorite parts of the study. If I lack wisdom ask God! He wants to give it to me abundantly. He wants to help me with all situations in life. I have enjoyed every Bible study I’ve done with you, Pam. I like to take lots of notes, so the studies usually take me longer than 15 minutes (but that is okay with me). I hope to one day be brave enough to draw and color in my Bible :0) For now, I use a notebook and a printout of Scripture. The BLB site has been an awesome tool that has really enhanced these studies. Your new website looks fabulous, from what I’ve glimpsed. As a request, would you be willing to add a study on Psalm 139? ~This just happens to be one of my favorites and a “go to” for the hectic times in my life. The reminder that the challenges we face are refinement and to not be discouraged. ~I am happy with your studies! I am also happy that you can post it where we can access without a social media account! ~I did not get to go through this study with you the way I wanted or planned but I enjoy your studies and they are such a blessing to a mom of eight, who is about to have five teenagers in April. When I can not do your study, I simply continue to read through the Bible chapter by chapter using blue letter Bible as a cross reference/commentary or utilize a Bible app on my phone. I look forward to trying out the Mama’s Refill! I have a “free” Bible app and I have found it is not nearly as valuable as your Bible studies. They are good but not “mom” relatable like yours!! ~God has been faithful and shone His mercies by forgiving me when I have failed him when taking care of His young, my children. I have re-learned that my tongue is still what gets me into the most trouble. I need to slow down when I speak and think fully about the impact of what my words will be. Will they be words of a fool who wants her own way or words that bring life and rescue to my children, in particular? I love everything about the Busy Mama Bible Studies, especially the published versions–I have bought several to give as gifts and to go through again. When I finish here with James 1, I plan to continue my own study through 1 Samuel. It has been fun to dive deep in this book of Israel’s rebellion and God’s gracious provision. God has always been faithful to care for us in trials. Whether that was the near death of our second-born child who had to be transported via ambulance from the hospital of her birth to the nearby children’s hospital for a week or my husband’s recent provision of a full-time job after being out of steady work for over a year. God is always faithful!! I’ve put off doing James 1 so I can finish journaling through the Psalms before Christmas (a study I’ve worked on and off for a while). In addition, I use a devotional journal that highlights a characteristic of the LORD each day. These 2 things have been a real treasure to me. But I hope to start James after Christmas :0). 1..learned in James: keep my eyes on Jesus, not the trials. Let God have his perfect work. Trust him to finish that which he’s begun in me. How to have joy , looking unto Jesus, while in the midst of trials… to be a doer as well as a hearer of the word. 4. Seen God’s care in the midst of trials? Financially–He has provided for us in so many different ways—Samaritan ministries when healthcare became unaffordable, a part-time job for mom when kids started private school. 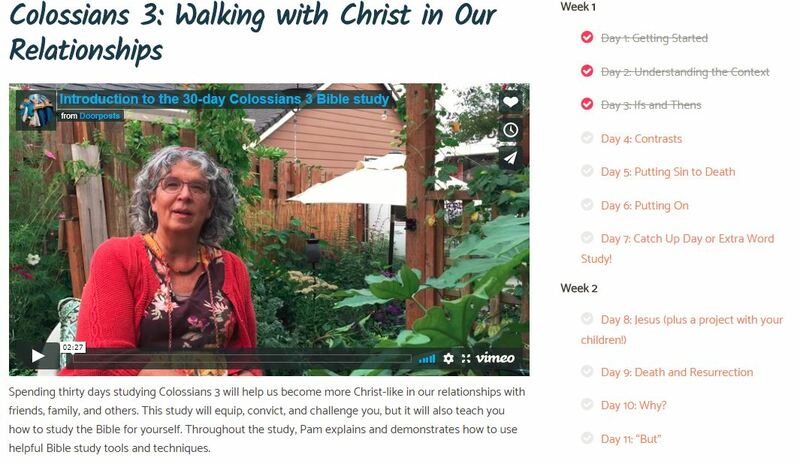 Friends to encourage spiritually–one got me started with this online study! I love the depth of these stufies! I learned more about the word trials, testing, and endurance, and joy. 1. I really enjoy your Bible studies. Thank you for putting the time in to do them! They are a blessing to me! James 1 continues to teach me how to have proper perspective in every day life. I encounter varying levels of trials all the time and must approach each with joy. 2. I love these Bible studies! I love digging in deeply! It can take some extra time some days, yet I love that time. I usually never finish within the 30 days, but love the fact that I can complete it at my pace. So, I agree with some that they tend to be long on some days, but I don’t want them to be shorter and sacrifice the “meatiness”. 3. I have been studying James 1 with you. When a Bible study isn’t going on sometimes I just read through the Bible. Other times I go back to Bible studies we’ve done previously and study them again. 4 God has uplifted me in trials by giving me continual glimpses of His hand working in the situation. Though the situation as a whole may not change, He shows Himself to me, and opens my eyes, as only He can. I Learned from your previous studies about BLB app & that has changed my Bible time. thank you. I love it when we study the tiny words like: if, for, but, then, etc. I recently did a study on psalm 23 going through each word individually. I like that as well. Like we did with this study joy, endurance, trials etc. thanks for all your hard work! I finished a study recently on Psalm 23. I did it word by word and it was fantastic. So many surprises on the definitions of common words! Like I “shall not want want “ actually does mean “not lack” it also means “not fail!” I highly recommend it. I am not doing the James study right now, but the posts on FB have been a timely reminder to not be surprised at the trials I am facing. I know that the in depth word study is so beneficial, but it does take me about 45 minutes to get through a whole lesson. I’m don’t necessarily think anything needs to change with the studies, maybe just my study habits. I am currently going through the Proverbs 31 study. God has always been faithful to bring me through trials. I did the study on Psalm 91 earlier this year, and it blessed me so much! Establishing reminders of God’s faithfulness is so important I think, because I so easily forget. My prayer lately has been that he would increase my faith and help my unbelief. These studies are giving us the sword the shield. I knew these verses, but I couldn’t use them properly. My faith is increasing with the proper understanding! And thank you Lord for hearing my call and answering even when I just hoped you would answer! I have learned so much through all of your studies that I have done. However, I think what stuck out the most this time is something that was stated. We can learn the Bible all we want; but if we don’t live what we know, do what we hear, and obey what we read, then we are deceiving ourselves. It’s easy to memorize the Word, but it is a lot harder to put it into action; especially in today’s world. Thanks again for a great study. I think the length can be daunting some days, but usually I am able to catch up on the weekends. Great study. Currently I am reading through the Psalms on (M,W,F) and Isaiah (T & T). I have saved the James emails and hope to go over them at a later date. Thanks for all you do! I am so excited about this! I love your studies, and I wouldn’t really change anything except to maybe have two levels of children’s instruction on the children’s lessons. I’m still working through James 1, but I’ve found myself really struck by trials and testing and how it’s what God is using to prove that we are growing spiritually. I’ve often found myself thinking that God is giving me a test and just waiting to see me fail, and I realize now, from this study that he’s on my side, and that he wants to prove how much more like him I am becoming. 1. I have not been able to participate this month, but I have saved each e-mail to a special folder so I can work through them at another time when I am able. 1. Just as God gives me wisdom when I ask for it without making me feel guilty or like I’m a burden, I have opportunities to impart wisdom to my children. If I want to be more like God, I’ll freely and gladly answer all of my children’s questions- no matter how many! 1. Loved the James study! I often get behind, but still think the length and pace is good. I felt like it was written for me as I have had a lot of trials this fall, physical problems, family members struggling spiritually, loss of a dear cousin at age 31, etc…but I am learning to count them all joy. I’ve also been reminded of the depth and power of the Word of God. As a young person I memorized the book of James, but now as a mom of 4 young kids, in some ways I feel like I’m learning from it so much more. It’s changing me!!! 4. God has consistently shown up for me in trials. Sometimes it isn’t until the trial is finally over that I can see where He has pulled me through. Sometimes I really have no clue if He has done anything more than helped me keep putting one foot in front of the other. But I KNOW He is faithful and able. It is all for His glory. 2. I’m looking forward to the new site. I do most of my study on my phone and tablet because I don’t have regular access to a computer. Reading the emails on my phone is hard, so I’m hoping the site will be easier, plus a great way to do it at your own pace. I love having a place to comment, share what you’ve learned and see what others post. I hope that will be on the new site. As mom’s of young kids, we often feel isolated and lonely. Coming together around the Word of God is a great encouragement! 4. God has used the James study to grow me in my trials this year. I’ve learned to trust God in a deeper way and leave the things I can’t change to him instead of making myself sick, literally, by worrying and stressing over them. One particular trial which I felt completely alone in, so personal that I can’t share it with anyone but God, has brought me to the end of myself and caused me to depend completely on God. In my darkest hour He is there and His comfort and peace are beyond words. I’ve never done a study like this before, and learning how to study the scriptures by doing word studies, etc, has been amazing! Memorizing the entire chapter of James 1 by working with it over and over has changed my life. I started the James 1 study but soon got behind. It would work better for me if I had 2 days to complete 1 day’s lesson. I’m not giving up – I’m still working on it. I have learned so much about HOW to study the Bible, digging deeper that just reading through a passage. It has been a great blessing to me. “Consider it all joy…” This has been a conundrum for me! Am I not to try and alleviate my trials, all the while having joy? Of course. As I studied, I realized I can have the joy, because of Jesus, because He is with me, and my trials will build perseverance, and mature me. The term bittersweet comes to mind. Trials are difficult, but the sweetness of knowing Christ is for me and with me, and working for my good end is amazing. Even in my struggle to do what I can to alleviate, fix, get out of my trials, I stay under, I abide in God’s law and God’s way. I use my desire to please and obey Jesus as my boundary for my actions. As I wait for deliverance, I can have joy that it’s not pointless suffering and pain. God has His plan and I can trust Him. I will gain endurance, and one day I will be perfect, lacking nothing. 1. I think I was most struck by the very beginning of the study, delving into “consider” and “endurance”. It will change the way I live my life because it changed the way I view trials. I wasn’t able to do the study with you, but have it saved for later. In the meantime, I have been writing through Ephesians and doing advent readings with my family. 2. I think anything I would change about busy mamas bible study has been address by mamas refill! 4. God has been faithful to preserve me over the past two years while I’ve been separated from my husband, when many times I wanted to give in to loneliness and despair. So far I’ve finally grasped what it means to count my trials as joy – because at the end, there’s a reward. My endurance and perseverance will increase, and won’t that be handy? My father died on October 12, and between that, homeschooling struggles, and raising teens (gasp! ), my stress is on overload. But I’ve learned that it’s okay – this is something the Lord wants me to walk through right now (although personally, I’d rather run! ), and I will come out better on the other side. I very much appreciate the studies and I like the format. I like to read about the resources you use, and when you recommend resources for further study. 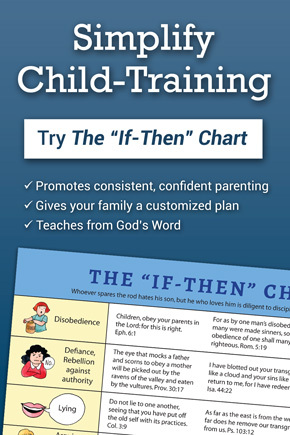 I am using the studies to teach my children how to do inductive Bible study. Love it!!! We are currently in a whirlwind of trials. Ill elderly parents, uncertain jobs, trying to go back to school, concern for our children and grandchildren in this crazy world, foster kids, and our own unresolved health issues. 1. The whole idea that trials help to test our faith – to see if we will stand firm and not move away from what we claim are our beliefs just because things are hard. I loved the word picture of the coins being checked to see if they were genuine. I want to stand before God and see Him check and know that my faith was genuine. 2. I’d like to see a guide for how to use Busy Mama’s studies in a group setting – for instance to lead a ladies Sunday School class. 4. God has ALWAYS been faithful to preserve and care for me in the midst of my trials. The first one that comes to mind is His faithfulness in giving me a song (Through the Fire) to sing as I traveled to tell my 90-year old grandmother that her firstborn son (my father) had just died. Just like when He was in the fiery furnace with Shadrach, Meshach, and Abednego, He was there with me when I broke the sad news to her. I am currently not doing the JAMES 1 study, but continuing Psalm 91 study. I know, I’m rea….lly behind. But I thoroughly enjoy your studies. The inductive way has helped me to understand the Word better. The Blue Letter Bible is something new to me, but a tool I have grown fond of and use it now when we do our family bible time. I am almost done with the CTBS, and have John 15 in line to study. The only study I can say I completed is he Diligence and Laziness Study I did with my son. It has been such a wonderful study for both of us. I really don’t see anything that needs improvement. I have learnt to use the BLB from you, and thanks a million for that. I know what the words in verses mean exactly. I don’t have to guess. It has given me a deeper understanding of the Word. I am currently completing psalm 91 and towards the end of CTBS, high is an amazing study any mom should have. It’s been a true blessing to study that. Now about trials, I can’t remme when I have been out of one. But God has been always faithful. He has always held my hand through it all. There was a year when both my husband and I had to go through surgeries. He had to go through a brain surgery, and I had an emergency cholecystectomy a week prior to his surgery. Our son was only 4, we had no family here, and it was our church members who helped us through that. A full year of troubles, I think that was my hardest trials so far. But when I look back, I see grace, mercy, love, faithfulness, and a lot more. I learnt how to lean onto Him for all my needs. My son has severe milk allergy that he cannot be around dairy products. He is homeschooled for the same reason. His freedom is restricted wherever there is food. It has been a challenge for years. He’s 13 now. I trust that God has a plan and purpose for His life. At times when he loses hope, it’s hard. But I know, He is good at all times, and there will be a time when my son will be healed and can enjoy his freedom. God is faithful at all times! I just love you you help us to dive so deeply into every study. I am not a new believer, but feel I am still learning how to really dive into scripture. Thank you! I have really enjoyed this study of James 1 (as I enjoy all your Bible studies!). What God really impressed on my heart was verse 2, where we’re told to “count it all joy” when we encounter various trials. This is so hard for me to do, I have to admit! But in looking at the following verses, I understand better why I can count it all joy. And when I compare it to delivering a baby, it makes sense – you count the struggles throughout pregnancy and delivery as joy because of the end result. God is always faithful in every trial, and I thank Him for His goodness. The past few years have been difficult, with the death of both of my parents, a child that has turned away from God, and various financial struggles. Through it all, my faith has grown so much, and I thank God for that! I have been using your studies for several years now. I have always struggled with a consistent reading/bible study time and have gotten behind even in this study. I’ve continued to learn that I really do need this daily, it is my spiritual nourishment. I am excited about your new website and I think I could really benefit from studying in that way. I was challenged to change my perspective during trials. I tend to have a grin-and-bear it attitude, asking God to just help me make it through the trial. James admonishes me to seek God for wisdom in how to live godly through the trial because I love God. The trial is good because it comes from a good God, so just getting through it doesn’t allow steadfastness to have it’s full effect. I’m cheating myself. Changes to consider….perhaps include more of your drawings in the post; maybe shorten the lessons. #2. I’m not sure how this would work with the new Refill site, but I was thinking during this study it would be nice to have some discussion questions to post and reply to on the Facebook site. I had been involved in a group with homework and then discussion when we met for Bible study and the things God taught others was encouraging and challenging for me. It also brought clarity to fuzzy portions of Scripture. Maybe you could choose a question or two for each lesson to be used for group discussion? God has been faithful to carry our family through challenging situations, even when I often panic and freeze up—he has provided church friends to pray for us, talk with us, and remind us to pray aloud & say Scripture aloud right in the midst of turmoil. 1. I have learned the importance of looking at my trials with joy and to embrace them. He is still there even in trials. He shows himself in different ways. 2. I enjoyed the format of this study. It helped me to stay on schedule for the most part (or if I fell behind the lessons were manageable enough to get caught back up). I am looking forward to the new subscription. I like the resources it will offer. What have I learned in my study of James 1 that will change the way I live my life? Well, the entire chapter taught me many things, but if I had to narrow it down, I would first say that I have a much better understanding of trials. 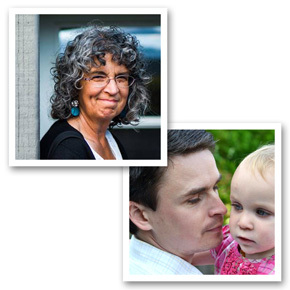 Almost our entire 23 years of marriage have been filled with one trial after another–loss of three babies, ongoing intense financial pressure, extended family issues, health concerns with 4 of our 5 children (some with multiple surgeries), and so on. I know in my head what scripture says my responses should be, but until this study, I didn’t know how to truly apply what God’s Word says. My first response is usually fretting and then praying. No joy. During this study, we were going through yet another trial, but my response and perspective was completely different as a result of what I have learned in James 1. I learned not just their purpose but that my responses show whether I actually trust God (or just say I do). I learned what it means to remain under our trials and what to do when we fall into trials. Second, I was reminded that the source of my sin is my own desire–the progression of sin begins with me–and I need to carefully guard my heart and mind. Third, v. 19 was convicting because I so often let passion rule in response to trials or when provoked. I do not respond to trials with joy–I fret. I also do not stop and listen and sometimes fail to guard my mouth. Another lesson was from v. 21–the question was asking “am I hanging onto any filthy rags that are holding me back from receiving what God wants to do in my heart through His Word.” I will be continuing a time of self-evaluation and prayer on this subject. And when looking at all the ways our speech dishonor the Lord, I know I need to focus on how I need to bridle my tongue going forward. Finally, the day we studied ‘true religion’ has me pondering ways in which I/my family can better minister to orphans and widows. I also am asking the Lord to show me those areas where I have not kept myself unstained from the world. Needless to say, I have a lot of work to do! I loved learning that patience isn’t passivity. It’s action. This is encouraging for me, a go-getter. Sitting still and just waiting doesn’t sit well, so knowing that I can take action to sit still, haha…ya know. It’s good. What would I like to see changed/improved in Busy Mamas Bible studies? I don’t know of any way they can be improved. This study has been a huge blessing. The only thing I would like to see changed is maybe slow down the progression, in keeping with it being a Busy Mama’s Bible study. I found it often took 45 minutes to an hour a day to really dig deep and do the study right. I could have split some lessons into 3 or 4 days but feared I would get too far behind and mentally that makes me feel like a failure. 🙂 But it sounds like the new format on Mama’s Refill might change that, working at our own pace and yet not feel like we’re getting behind if we do so? I have only had time to do the study in James, so I’m not reading or studying anything else at this time. When has God been faithful to preserve and care for you in the midst of trials? God has been faithful in some amazing, creative ways. I have had people tell me I should write a book about it, and I definitely have enough material to fill one! We are a one-income homeschooling family with much of our income going to health insurance premiums and medical bills for our children and tend to live like George Muller, praying for our daily bread when the pantry/fridge or gas tank is empty or trusting God to meet every other need. We have never had a car payment in 23 years of marriage, because we have been gifted with one vehicle after another. There have been many times there wasn’t a morsel of food in the house, and no one but the Lord knew of our need, but a check from someone we hadn’t seen in years or an anonymous gift card would arrive in the mailbox or someone would call and want to bring us a box of food. God has poured out His grace and care on us during the loss of three babies (one stillborn and two miscarriages). He has been faithful to give wisdom in the midst of extended family trials. God has cared for our children during their ongoing medical trials (1 with epilepsy and 3 with scoliosis), sometimes bringing healing, sometimes not. But we have had His peace and felt His care for us every step of the way. He has given us and them grace. He has met our medical financial needs in miraculous ways. One child said she would not have come to Christ if it hadn’t been for her medical trials. One day, my husband sat in our home and realized that every single thing we have has been gifted to us in some way. God has truly taken care of our every need. Soli deo gloria! I’ve learned to look at even the little trials in my life as a way to grow and ask myself, “what is God wanting me to learn from this trial? I loved learning the greek for joy and digging into various verse with the same root. I was also very blessed to learn the correlation between joy and endurance in James 1 is the same in Hebrews 12:1-2. I am having a hard time keeping up. If the lessons were split up into smaller segments and maybe not dated would be helpful? For example day 1 might have lesson ,1A 1B and 1C. This would also make it easier for me when I go back to a day to remember where I’m at if they were divided into segments. Love the studies though! Thanks for doing them. #4 God has provided so many times when we have needed things when we have been patient and waited on his timing. We have been given a free computer when we were in need of one without even telling anyone we needed one. This has happened many times with different items we have needed-new grill. Another car for an awesome price. He’s also provided when we have been going through trials in ways that we haven’t even considered needing… Meals from friends and family or an encouraging text or letter from someone. We truly can lean on him at all times! 1. I haven’t had a chance to finish all the lessons yet (plan to catch up as soon as I can! ), but what has stood out to me the most so far is how “asking for wisdom” ties right in with our ability to trust and rejoice through trials. I’d never tied those two verses together before even though they are right next to each other. SO encouraging to be reminded that God is eager to give and give and give each time we need that wisdom! 4. I have seen God’s faithfulness so many times over the years. Most recently, I guess, was when He brought me through a difficult pregnancy and recovery last fall/winter, as well as some more health issues and major financial stress in the spring. I really clung to His promise that He will “gently lead those that are with young”, and that He will give rest to all who are weary and come to Him. So grateful for His faithfulness, even when my own faith is often so weak. I’ve done a few other of your studies and have begun the study on James 1 but not finished it yet I’m still working on it. I love many aspects of the study. I like receiving a lesson each day. It helps me feel part of a group bible study. I like the idea of marking the passage. It helps me dig deeper when I do that. I like having a portion for the children! I have 3 children with whom I wish to share Scriptures. Thank you, Mrs. Forster, for preparing these studies for us. I have been so blessed by having the opportunity to do this study. For years, I have wanted to know how to read the Bible the way it was written, but have never found anything that was used friendly enough for this tech challenged busy mom! By following along with your study, I have gained new study skills that I can apply to all my Bible studying for the rest of my life! Thank you! Words cannot express my gratitude for the skills you have taught me. A specific thing I have learned from this study is how to truly approach my trials with joy! For a while now, I have been able to approach trials knowing that God will ultimately use everything in my life for good, as long as I am following Him. This has allowed me to approach trials and struggled with a smile (but often I was smiling on the outside while crying on the inside). Thanks to the new things I have learned in our James study, I now can face my trials with a genuine smile that starts on the inside. Thank you! Another invaluable thing I have learned is that since starts with desire inside of me. The example you shared about how to respond to my family on those exceptionally busy and trying days has completely changed my attitude! Now as soon as I feel frustrated or annoyed, I stop and think about what it is that I am desiring that is feeding that negative attitude. I then think about how Jesus would respond and ask myself if I am truly living in the way Jesus has taught me. My attitude changes and my kind response comes from a sincere heart instead of a “I will answer in a positive way because it’s what I know I am supposed to do, but really I’m seething inside”. The difference is noticable and ultimately conducive to an authentic peaceful environment instead of a forced, insincere peace. I can’t wait to see what else I will get to learn as we continue our study. May God bless you richly for all the time and heart you have poured out to us women. Unfortunately, with morning sickness and the extreme tiredness that comes with first trimester I haven’t done much Bible Study lately. I did save the e-mails though so I can do it when I feel better! The explanation of the Father of Lights by M Henry was eye opening. I had never thought of the sun as a type of God. Unmoving, unchanging. I have always known the solar system revolves around the sun, yet never thought in regard to my trials. God is always the same, but I’m the one moving close or far from him. Also the different lights inside ourselves : light of reason, light of understanding, light of faith. Makes me think I’d like to do a word study on “light” sometime soon. The biggest help was the long lists of Tongue Sins vs Words of Wisdom on day 32 and 33. It put into perspective the many ways we can talk our way into trouble, or speak our way into a relationship with others. Thanks for this study. I will try to keep going in Ch 2 in January if I’m not travelling. 1. James 1 has given me insights into myself I didn’t know. And imperatives to be daily declared. 2. I always have trouble with the ‘15 minutes’ as it generally takes me about 90 to complete a lesson. I don’t generally do the ‘extra’ Lesson on catch up days but would like to go back and do them. I love your studies, maybe there would be a possibility to make them a little shorter? After a while I find it hard to catch up. I always admire your drawings – I wish I could do that. 3. Reading through the Bible is a challenge I enjoy, however, it is definitely not Bible Study. I belong to a weekly women’s group, studying the covenant, and a monthly breakfast group, studying John. I have learned to look at trials differently. I have spent some time looking back over some past trials finding joy during those times. It has also taught me to find joy in current trials and to be thankful for those. It has also brought me closer to my son as we do this study together. Thank you for all of your hard work and dedication. 4. The Lord has been daily faithful in His providence, protection, love and care in my life. Car accidents, deaths, cancer, surgeries, living with and caring for my spouse less parent for 6 years have only been possible because He Is Faithful! We moved and gave up our lives, because our children asked us to move closer. And He that holds the Universe in His Hands, granted a baby to be born and placed in my daughter’s arms, at just 8 days old, after years of waiting. Only a Wise, and Gracious Father provides for everything I need, and I am forever grateful! I learned that every trial/test has a purpose, and can be used by God to help us grow… Or we can hijack the whole thing and claim it as an excuse to sin. I need to be careful how I react! What have you learned in your study of James 1 that will change the way you live your life? I love that I don’t have to be a scholar or spend tons of time to dig deep and walk away with something that impacts my day and my family. Specifically, this time, I’m learning how trials are used to develop steadfastness in me. I want to have a deep, rich solidarity to my faith, and that means I can’t shy away from the work He is doing in me through trials. What would you like to see changed/improved in Busy Mamas Bible studies? I think your studies are great! And I love your pictures from Instagram. I’d love to see you incorporate more of your pictures in the email. If you have not been studying James 1 with us, what are you doing to read and study the Bible? I’m still working through the James study, but before I followed along with a church-wide Bible reading plan and journaled about it. When has God been faithful to preserve and care for you in the midst of trials? We moved to a new area a couple of years ago, leaving behind a beautiful home and a close group of friends. It was an extremely difficult move for me and I really had trouble connecting. But God was faithful to bring just the right group of women and opportunities to serve, which helped connect me to a faith family. 1. I have tried to guard my tongue, but it was eye-opening to see if I don’t my “religion” is worthless and that is the same word used in 1 Cor 15! I will weigh all the more my words. 2. What would you like to see changed/improved in Busy Mamas Bible studies? Honestly, I cannot think of anything. I do look forward to it going to every other day with James 2 so I can take more time with each lesson and not feel behind. 3. If you have not been studying James 1 with us, what are you doing to read and study the Bible? I have been doing the James study, but before that, I did a video based topic study. I benefited from that, but LOVED digging in to “just” the Word! 4. When has God been faithful to preserve and care for you in the midst of trials? So many times!! The hardest trial was around my multiple miscarriages. It felt He was being cruel, but over time I saw His faithfulness and how He grew my faith through that. 1. I see how much my faith wavers in daily life and am convicted on being more “stable” trusting in God even more and not letting life circumstances blow me around so easily. I am only on day 14, but I am determined to finish this Bible Study. When I succeed, it will be the first Doorpost Bible Study that I will have completed. So far, I am learning to ask God for WISDOM in the very moment that a parenting challenge occurs. I would not change anything about the studies. As far as the length of the studies, for me it is about taking any uninterrupted moments to work on the study. I haven’t been studying James along with the group this time. I have been finishing up my second year of University (at 50 years old) and have been doing a bible study called praying the names of Jesus. 30 names in 30 days, on the You Version app. I have however kept all the emails and will be going through it over my summer break ( i’m in New Zealand) One more year of Uni, and I’ll finally be a Teacher. Besides this study of Janes 1, I help my children with a Kay Arthur inductive Bible Study called Jesus: Awesome Power Awesome Love as part of their daily schoolwork. 1 – For me the most important thing I learned is that I have to continue to study His word. I also need to apply it to my life, live it and not forgetting what I’ve learned. 2 – I’m new here so I can’t really say. But I do have to say I’ve done a lot of bible studies and I think your is one of the best. 3- I’ve just started so I really want to stick with this. Your way of studying makes in very helpful, and informative. I really enjoyed using BLB. 4 – Oh my where do I start… all my life. There’s way to many times to go into here, so I’ll try to be short. 1st – I was diagnosed with MS, and then about 5yrs ago with subacute cutaneous lupus. 2nd – Our granddaughter, who was only 11wks ago was physically abused by her father. She had 3 skull fractures, 9 broken ribs, both legs broken, and her liver was lacerated. We were told she would not survive or if she did she would be a vegetable. That was 12yrs ago. She has a lot of problems due to the brain damage but God delivered us all though that horrible time. Our daughter had such a hard time dealing with things, she had to fight to get a divorce, and have his parental rights removed. He was sentenced with 15yrs, but was released after just 3. 3rd – Last month we found out the dr says my husband has Parkinson’s disease. My husband and I are 57yrs old. But God has and will continue to see us through no matter what comes our way. I love the Lord, and I truly don’t know how I could live without Him. God has been faithful and cared for me during these years of raising children (and we’re not finished yet). 2. You have done so much to work with us, make changes, and work so long and diligently sharing God’s Word. Thank you, thank you! I am liking the website thing for many people as long a free option is available to follow current studies. It would great too if it could be an app for phone or tablets so it would allow offline use. Maybe the website allows downloads to the computers for times offline? 3. When not studying along with you, I am usually studying another passage exegetically/inductively. Lots of good books to read in Christian living literature, but best for Bible study is still the Bible. 4. James is app practical it is hard to not find an area that wasn’t challenged or pricked. Definitely having faith while my can’t and I are in a short season (2 years hopefully) of moving to my husband’s family farm to live with them, help them with the farm, get a chance to get further along in our debt free goal, and my husband sees us living down in this part of our state for the rest of our lives. I haven’t reached that full conviction yet, though we are stepping in obedience one step at a time. Lots of adjustments and sacrifices on both sides when you love with family even one you love deeply. I pray my faith grows ever so much during this time of “trials” and my faith is worked out to God’s glory. the biggest thing for me is that it takes me a lot of time. So if there is a lot of reading commentaries or a lot of cross refs to ready, maybe cut those lessons shorter. I do like to write a lot, so that also takes time. It is encouraging to know that I’m really never behind and if it takes me 2 days to finish 1 lesson, it’s ok.
Ha ha! when has he not?! I think the biggest one for me lately has been in my marriage. I finally learned to be quite and let God do the work in my husband. And guess what happened. In less that one year, things I was trying to make happen for years in his life, God brought to pass. And it’s great! This study through James 1 is changing how I view and respond to trials in life. Instead of having the “knee- jerk” reaction of dispair and despising the troubles, I can have a more biblical view, and welcome…even JOY in them. The truth found in James 1 tells me that I will be made acceptable, genuine, and complete in CHRIST. What good news!! The only thing I would change about the study is to maybe have a printable pdf of it once a week so I don’t have to try to go online everyday for it. I also want to say this is the first time I’ve been in the. Fb group for it. LOVE IT! I enjoy being able to see what others learned as well! This month I have been praying Scripture for my husband and children. This has really made. Those Scripture come alive for me and helped to learn more about the traits I. Was. Praying for. 1. This is the first study that I have done in a long time! I needed it. I learned that God is always there for me and my family. We need to make sure we listen and have faith, not worry when we are in the midst of our trials. 4. God has been faithful this last year in making sure my family was taken care of. We have been through many trials and no matter what, we have each other and food to feed us. Hmmm, one thing to change… I’m much too comfortable, and I know this because I am too easily rattled. Comfortable America has made me feel somehow annoyed at the idea of facing a trial. We’ve come up with a million ways to fix, ease the pain of, or totally eradicate trials, but we are significantly less inclined to endure the trials, much less with joy. Here James tells us we are going to receive the Crown of Life, and with full access to Divine Wisdom we can learn to walk the path of our trials with steadfastness. And JOY! Oh to be marked by one who followed hard after our good and gracious God with unwavering joy no matter what trial came my way! God give me the wisdom to do so, and the perseverance to sustain your good work in me! God has been faithful to preserve and care for our family in the midst of trials, but leaving the mission field was by far our hardest trial. We believed we were to be stationed on our mission field indefinitely, and spent every penny of our life’s savings to do so. Fourteen months in, we found out we were unable to be supported any longer. Homeless, carless and absolutely clueless we moved with our three babies into my parent’s house to recover and regroup. It was in those hard and foggy months that God showed me how much he loved me. He taught me to forgive, to trust in his provision, and to lean on his strength and wisdom, not my own. He humbled me and brought me low, and I rejoiced in my exaltation! When I was diagnosed with skin cancer at 16 I really felt God’s peace and presence in the midst of that; and it really did build my faith. He gave me strength and supernatural peace, and then allowed the cancer to be much more contained than expected so that one surgery removed everything, without needing extra treatments! To change my perspective…trials are not enemies to be feared and dreaded but can be faithful friends, if we trust and seek the Lord in and through them. They help us to grow if we remain under them with the right attitude. I have to tell you how much I love your Bible studies. You help us dig deep into the Word which makes us see things we have never seen before. Thank you so much. I so much appreciate them. I wouldn’t change a thing about your studies. I don’t like the word “patience”, but it is so true, that when we wait with patience through whatever trial, test, etc. we are going through, we are perfected. We don’t always see the growth immediately because it is happening way deep down inside us. I am so grateful to have learned to use the Blue Letter Bible app through this study. I had used it on my computer in the past, but didn’t take the time to learn to use it on my phone. Thank you Pam! James 1:9 (Geneva Bible) the affliction does not oppress us, but *exalts* us. What a difference that makes in how I view trials! I don’t know. I saved each of the emails and hoped to work on them during the Christmas break. I know I need to be more intentional. There has been so many time over the last 55 year some big and some small that looking back I can see the hand of God even when I didn’t feel it at the time. A couple of ones that jumped out at me are: 1. the year I got to go to college. I came back from Christmas break and was really falling apart. My mom had been telling me how much better my dad was about his drinking and when I came home and things were the same I felt burden with guilt that it must be my fault. My friend called another friend who was the child of an alcoholic. He came and talked with me for over an hour while I put on my happy face until I finally broke done and admitted to what I was feeling. He suggested I call my mom and ask for the truth. She told me that she had lied so I wouldn’t worry not thinking about how I would be affected when I got home. But what really made the biggest impact was a few days later I found out the Micky had been really sick and in bed with a fever when he got the call and came anyway. I lost touch with those people but I hope they realize the impact they had my life. 2. Was the stillbirth of my son Samuel in 2000. I was 39 weeks. I found the strength I didn’t know I had. Six weeks later I was the labor coach for a friend and got to be there when her son was born and was fully able to share in her joy. I had also prayed while waiting at the hospital waiting to deliver that I wanted some good to come of my tragedy. After Samuel’s funeral, I found out that several older woman who had experienced loss over the years had never had a chance to say goodbye to their little one and that attending the funeral help to give them their own closure. 1 Speaking life into the lives of others, especially my husband’s and children’s. In studying the words in the scriptures on Blue letter bible; it’s helped me to see that each word spoken, should be spoken with a purpose. I too would like the lessons to be shorter, especially the ones using Blue Letter Bible. I want to have time to look at all of the verses listed. So, I’m always behind. I easily spend more than thirty minutes and still do not have time to look at all the verses listed. James taught me the importance and purpose of trials in our lives. In addition to the James study I am reading through the New Testament and am currently in Romans. I’m far behind but am determined to finish even if means having to skip the next “study”. I like videos and narrated readings so I can listen (often repeatedly) on the go. Thank you and God Bless you and yours. Digging deeper into the word meanings helps me understand the true intent of the Word and what is being told. It encourages me to see the passion, urgency and spiritual wealth of the words. I lead a Recovery Group, and the James 1 study has helped me share these insights with my group, especially the part about being double minded. We love God, we trust God, we believe God, but we also love our addictions, trust that they will help us though hard times, and believe that God doesn’t really care about me. We are double-minded! But it is NOT God who is tempting us, and if we persevere, ask for Wisdom, trust in the One True God, He will help us from being pulled away from Him and into the World. Thank you for helping me make this chapter clear to my group. When I received the notice that you were starting James I, I was in the middle of studying I Corinthians and really wanted to finish it. But the few days right before it started, I would sit down to do I Cor and was finding myself very antcy and could not concentrate on it. After a couple of days, I decided to do the James study and immediately felt a calm like that was exactly what I was supposed to be doing. And then a couple of days later, my husband was let go from his job. And I just felt like the Lord had wanted me to be in the James study knowing what was ahead of me. I was, am so thankful for this study, the timing of it, you, Pam and the Lord. It has just felt like a sweet friend has been walking me through our circumstances. And, of course, I do know that Jesus is with me, and once again He has proven that through what happened here. Question 1: What have you learned in your study of James 1 that will change the way you live your life? When I was pregnant with my first child, my church gave me a baby shower. At the baby shower all the ladies wrote on a 3×5 index card what parental advice they wanted to give me. There was lots of great advice!! One lady wrote that while she was raising her children she clung to the verse James 1:5 “If any of you lack wisdom, let him ask of God, that giveth to all men liberally, and upbraideth not; and it shall be given him.” It was not one of the many advice cards that “stuck” with me. A couple months ago (my oldest is almost 5) I decided to read those cards again. When I came to the card that had James 1:5 on it, it stuck out to me more. After I started doing the James 1 study I understood more and more why I should be asking God for wisdom daily on how to train/teach my children and to ask God for wisdom on how to deal with each situation that arose. I have started to ask God every time something comes up that I don’t want to just trust my flesh to figure out and it is amazing to see how God truly gives me wisdom on what to do, and it also calms me down because I take my burden to Him. I truly pray that I do not forget the lesson I have learned from James 1:5. I have not finished with the James 1 study yet but I am looking forward to doing so. Thank you for this study! I have not been studying James 1 with y’all. But have been a part of a small group of moms going through the Child Training Boot camp together. I don’t think I would like anything to change. I have really been blessed by all the Pam Forster studies I’ve done. Currently I am going through Child Training boot camp with a small group of moms. Going through the Women of the Bible book with another group of ladies, working through the book of Romans with a Sunday school group of ladies and studying Psalm 46 with our fellowship group, also I am *trying* to read the Bible to my kids out loud on a daily basis. I became very ill last year right before Thanksgiving and was trying to find comfort from the Lord and knew I needed to be reading/studying the Bible. I come across Pam’s bible study tips before but never tried it out for myself until my sickness. The first study that I did from doorposts was Psalm 37. Verse 3 of Psalm 37 was a tremendous help and blessing to me during that time and what kept me going. Trust God and do good was my motto. God is good and sent the perfect study for me to do at the right time. 1. I wasn’t able to do the study this time, but it’s in my email account so I can go back and do it! 2. Sometimes I struggle when you use the Blue letter bible because I have to have my phone and iPad open and read a little and do on the iPad. It takes time, way longer than I have. I LOVE reading through the passage over and over looking for different words and drawing pictures. I’m very visual, so I also love seeing your examples. It helps me know I am doing it correctly. 4. This has been the hardest most difficult year of my life. The things God has put on my plate have been… well… I’m just glad I’m upright. How has GOd proved himself faithful? Well I suppose it’s because I AM upright. Not angry at Him. Still together with my husband. And still trying to press on. I’m so excited for 2018 and pray it will be an amazing year! I haven’t been able to begin the James 1 study yet, because I am still finishing up the John 15 study. I think, that for this season of my life, I would like to have shorter daily studies. Also, links to coloring sheets for the little ones would be great! God is showing Himself faithful to preserve and care for me through trials right now! As I deal with multiple health issues, and homeschooling challenges, and my first preadolescent, He is faithful to carry me through. One other suggestion…a list of supplies needed at the beginning of each lesson would be great! Which colors of pencils, colored pens, etc. (this may apply more to the John 15 study that I’m just wrapping up). 3. I am going through Joshua. I’m also studying the life of Mary and Martha! I actually just started the study, so haven’t done much yet. I’d love to see shorter lessons. I’ve been following the Bible Reading Challenge through Christ Church by listening to it out loud, but at my own pace. God has cared for me greatly during troubles with my dad and kept my family together. 1 I learned to be patient, Gods plan is way better then mine. And seeking God joy. 2 I enjoy your studies. I wouldn’t chang anything but myself not to give up when I get behind. Our family is enjoy advent and looking at the amazing birth of Jesus! My husband lost his job. And we were good to loose our little house. God open a door I never work have seen. He proved a home, and a job way more then I ever expected! I would love to have a Busy Mama Study that goes through an entire book of the bible. 🙂 I absolutely love these studies and how you walk us through them. Thank you for all the work that goes in to these! Thank you for your bible study! Our study of James has taught me a lot about trials, how we should have the right perspective and attitudes toward them, not resisting them as I am often prone to do! It has also helped to notice those small but powerful words(for, when, if, but…) in other scripture reading. After this study, I have much more peace about trials. Not just my own, but fellow brethren. I have a deeper understanding of what trials and temptations do to perfect ones faith. I learned much more than this! I plan on studying Philippians some more. I have been slowly working my way through it. One Instance where God has helped me through persevere is in labor. My last baby was almost like a surreal God moment. Looking back on it, I know he did the work for me. It was so hard, but yet so easy. It sure if that makes sense. But it was for sure God getting me through it. God is always faithful to meet me where I am – a stubborn headed, often impatient, wanting to be in control, single momma of 4 – he is very gentle in reminding me he is there when I lose my way and want to be the one who does it all! I have really enjoyed how you have taught me to use Bible Study tools! It’s broken down in a way that isn’t over complicated. Your studies have been a huge blessing in my life!! I’ve also wondered about the name–these studies are great for Mamas, and mamas really need them. But other women do, too. I’ve shared about them a few times with others and explain that you don’t have to be a mama yourself to do one. I didn’t get to participate in the James study this time because my daughter was studying for the National Bible Bee , and I was supporting her in that. We studied the book of Colossians this year. Now that the competition is over, we’re looking around and considering what we will do next. This is just a comment and doesn’t fit any of the categories . 🙂 I’m interested in more information about the subscription when it is made available, because I can’t always get in on the “live” months. March is probably my best one. July and November involve Bible Bee for us, and so I’m not able to get involved in those. I would love it if you did something geared for older moms (moms of married kids) and grandmothers. I’m not a grandma yet, but I could be one any day now. 🙂 I could use some wisdom and insight for that season of life. 3. I am studying the book of Daniel with my family, various Scripture passages for Sunday school class, Katie Orr’s study on Hope for small group, and the book of Ruth with a few ladies. I hope to be able to settle down and eliminate doing so many studies and just dig in and enjoy one of yours—they look amazing! I love the book of James but have been working on another study in Psalm. I love the Word of God. So to answer a couple of questions together God has been with me and my family as mom went through cancer in hospice care. My mom loved to have the Word read to her often. She went home July 20th but what a legacy she has left in the Lord. My sister’s and I have shared some of her prayer journals, her Bible, Bible studies, recipes and more. God is so good. Thank you! Reading the book of James in one setting has helped me understand it better. I also enjoy the rich amount of information provided by the BLB app. When I’m going through trials, reading God’s promises and reminding myself how God has worked in the past has been a great comfort. 2. I love these studies and don’t know that they really need to be changed, I just wish I could do better at keeping up! I’ve done many of these studies and was able to keep up best with this one, it’s only the last week I’ve gotten off track. I realized this time that I really took the time to pray before my study and think I was blessed by it (I’m the past I’d just read over the prayer part, regretfully). I think that is an important part, so I really appreciate your including it! I couldn’t possibly list all of the things that I have learned through this chapter of James. I think the biggest impact this study has had on me is that it isn’t hard to read and study the Bible with children so that they can understand it. This is the first study where I have tried doing the suggestions for children and it has gone over so well! My 7 yr old loves it and had large portions of the chapter memorized. I am definitely encouraged to continue studying with my kids in the future! Any trial can become a temptation depending on how I respond to it. I think that often I have blamed God for my temptations which led to sin, when really He wanted it to grow my faith. More instructions for app users. I used to not be able to do busy mamma studies in my morning devotional because it meant dragging out the computer in my my limited time. Now I can easily do it from my phone, but I’ve had to self teach. Though I appreciate that you often put some app instructions in parentheses. What do I do for Bible Study? When not in a live busy mama study I follow the IG mini series and use the techniques to do my own studies. When has God cared for me in trials? We recently went thru a long struggle trying to get housing on our mission field. It often seemed as if God Wasn’t there but I learned thru it that God is always good. He provided just the right house for us in His perfect timing. Question 1: One of the most impacting things for me in this study was reading the parable of the sower in light of James 1. How we choose to respond to God’s word has such an impact on how we will experience trials and our perspective during a trial. Question 4: At the end of this month it will be eight years since our second baby passed away shortly after her birth. In the year or so that followed God lead me to read and study the book of James as he faithfully carried me through that shocking and heartbreaking time. Now, all these years later it has been so encouraging to return to the book of James and see just how faithful God has been to me and to gain additional insight and understanding in His word as he continues to change my heart and actions for Him and His purposes and glory. I have not joined in this study of James. I have enjoyed & appreciated all the studies I have done. I’m alsothankful for all the ways to access them (social media, email, & blog). Right now I’m finishing up a 90 day bible reading that I started & will follow up with one of your other studies that I have. I have been greatly blessed to have made it through many trials in my life. I’m confident that He will guide me through anything that comes my way. 3. I have been going through the a study in Romans with other women at our church. 4. The Lord cared for me though my miscarriage! This trial taught me so much! Oh Kelli, thank you for sharing. We went through one this year and it has indeed been such a trial but with so much teaching attached as well. Praying for you now! We are enjoying the busy Mama Bible study on I Corinthians 13. What have you learned in your study of James 1 that will change the way you live your life? – I have been so challenged to persevere UNDER the trials- knowing that that perseverance doesn’t diminish or minimize those trials; but will indeed still strengthen my faith! What would you like to see changed/improved in Busy Mamas Bible studies? – More visual illustrations. If you have not been studying James 1 with us, what are you doing to read and study the Bible? – I did do the James study, but also have been studying Psalm 23 through reading “A Shepherd Looks at Psalm 23”. When has God been faithful to preserve and care for you in the midst of trials? – We went through a miscarriage this year, and other life circumstances on top of that made it a VERY deep, confusing, dark valley. Though I went through severe doubt and questioning, He has NO SHADOW DUE TO CHANGE!! Praise God for His unwavering faithfulness through our suffering!! I loved being reminded that we can ask God for wisdom. He will give liberally and without reproach. 1. Your wonderful study has helped me to develop a consistent quiet time! I’ve been amazed at the depth of understanding God’s Word that comes from going slowly through only one chapter (James 1). Also, the BLB app has hugely improved my Bible study time! I specifically loved James 1:2 reminding me to consider trials PURE JOY! How these verses change our perspective of God’s plan for our trials. Humbling! I’m still working on it, but this study truly convicted me about my need to be “slow to speak” as I deal with others – truly listening to understand vs. concentrating on what I want to say next to get my point across. I have learned that I need to and can have joy in all circumstances because God is there with me growing me, and training me to be better and closer to Him. I don’t think I would change anything with these studies. I learn so much and go deeper with the Lord because of all Pam’s hard work. Thank you! I am also studying the book of Romans with our churches ladies Bible study. Learning that I need to act like God’s daughter, the beautiful one He made! God has been faithful to me and speaking to me in my lowest point with some very heavy ongoing issues in my marriage. He has always been there for me and I am stronger with Him through it. It has been huge! I am learning that trials are allowed in our lives to teach us to be more Christ like. I’m learning to look at the trial joyfully knowing that if I handle it correctly He will teach me thru it. I love these studies! Thank you so much for sharing them on your blog and teaching so many to really study the bible! The only change might be to shorten each days lesson just a little. In the midst of trials God has taught me thru His Word and given me just the message I needed at that time. Every time I study it is relevant to my situation. During part of November I studied the Armor of God with a group at church. I learned that God has already equipped every believer with His full armor. We just have to put it on and use it. Estudiar Santiago 1 cambio mi respectiva sobre la perseverancia en Cristo. Quizás mi percepción de la prueba eran aquellas “grandes pruebas”, sin embargo fui concierne de que día a día hay “pequeñas pruebas” que prueban mi Fe. Dios es quien puso la Fe en mi corazón para creer y es la fe que pende De Dios, que será probada. Está Fe es más valiosa que el oro. El resultado de la prueba de la fe es la perseverancia, esa resistencia que se desarrolla bajo el peso de la prueba. Nuestro modelo es Cristo, quien por el gozo puesto delante de Él soporto tanto vituperio y la cruz! Debo gozarme / agradecer/ todo aquello que prueba mi fe lo que me hará completa en Cristo. Mi ánimo debe estar firme en Cristo, y en los momentos que me falte sabiduría puedo pedirla con Fe a Dios, quien me la dará en abundancia.Gloria a Dios por su perfecta obra en nosotras!! I have learned to approach my trials in life differently. To see them as Christ did when He served the Father, to see the reward in growth and perserverance in them. Seeing that my faith in God is continuing to grow.. I am still working on completing the study on James but will be done soon and I am already looking forward to James 2. It is not the book of judgement that I have generally thought it to be but instead a book of edification and instruction in faith in God. Enjoy these Bible studies very much and look forward to seeing the “Mamas Refill” site. It seems like it will be a great help to keeping women in the Word and growing in faith. I love the resources Pam uses and would also like to see more of her own and others markings and sketches . I think if we shared more of ours as well that it would encourage other women as they do the Bible studies with us or after us. I sooo enjoyed this Bible study through James 1- it was the first I had done with you. Deep, but not too deep. Definitely enough to get my feet wet and whet my appetite for more of the word. Blue Letter Bible app was new to me and I learned so much. I enjoyed learning more about HOW to study the Bible. Thank you very much! I have learned to look for the joy in each trial. Like a gold nugget hidden away, there is always something to be grateful for. A time when God was faithful was during and after the stillbirth of our first baby, Julia. I knew at the time he was walking us through it supernaturally with strength with didn’t physically or emotionally have. But as I look back, 6 years later I can see all the blessings that have come from that horrible situation. My husband and I are stronger, my faith is deeper and we have seen family members come to the Lord. God is good even in the darkest trials. I’ve learned that God hasn’t promised to protect us from trials but he has promised to stay with us through them. So thankful for this study. Bless you. Right now, I am near the end of studying the book of Mark with my church Bible Study. I love the Busy Mama Bible Studies. I am super excited about the new membership site. Sometimes I wish there was a seperate answer key. It would have been helpful when leading a group through the study. I led a ladies Bible Study and we went through Isaiah 53. It was really good! I feel like God is telling me to live out my faith more. Be more of a doer, show his love and light to my family and the world around me. God shows he is faithful in the little and the big things every day. I just need to stop and look.